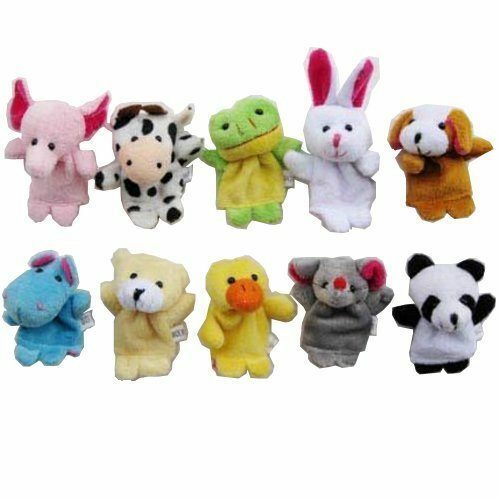 Velvet Animal Finger Puppets, 10pc Just $3.49 Shipped! You are here: Home / Great Deals / Amazon Deals / Velvet Animal Finger Puppets, 10pc Just $3.49 Shipped! Finger puppets are a great way for kiddos to show their imagination and they don’t take up much room. 😉 Get this Velvet Animal Finger Puppets – 10-piece Set for just $3.49 shipped on Amazon! High Quality Soft Velvet Beautiful and classic plush toy. Each Size: Approx 1.77 x 1.77 x 2.56 inch / 4.5 x 4.5 x 7 (L x W x H). Each set includes one elephant/rabbit/bear/cow/mouse/panda/frog/duck/koala/dog.